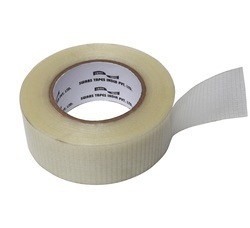 Duct Tapes are strong, flexible and very sticky tapes. Some have a long-lasting adhesive and resistance to weathering. Duct Tapes actually designed for sealing ventilation ducts, heavy duty packing, jointing and bundling the metal or plastic parts. Our organization is highly known in the market for offering a comprehensive range of Filament Reinforced Self Adhesive Tapes. The offered range of tapes is manufactured by our expert professionals in compliance with the international quality standards & norms. Owing to its shear resistant adhesive property these tapes are widely used for the packaging items in cartons. We are the leading supplier of Fiberglass Adhesive Tapes. 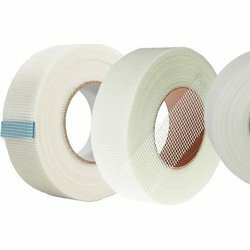 Our offered range of excellent quality Vapour Stop Tapes is manufactured using superior-grade raw material, procured from the certified vendors of the market. This vapor stop tapes demanded for sealing the pipes sections, insulation board, seams of ducts, segments in water plants. Offered array of vapor stop tapes is manufactured using polyester film and aluminum foil, which is further coated with the synthetic acrylic adhesive. This vapor stop tapes is highly resistant to the chemical and temperatures.